Trim height is a predetermined measurement relating to vehicle ride height. Incorrect trim heights can cause the vehicle to bottom out over bumps, damage to the suspension components and symptoms similar to wheel alignment problems. 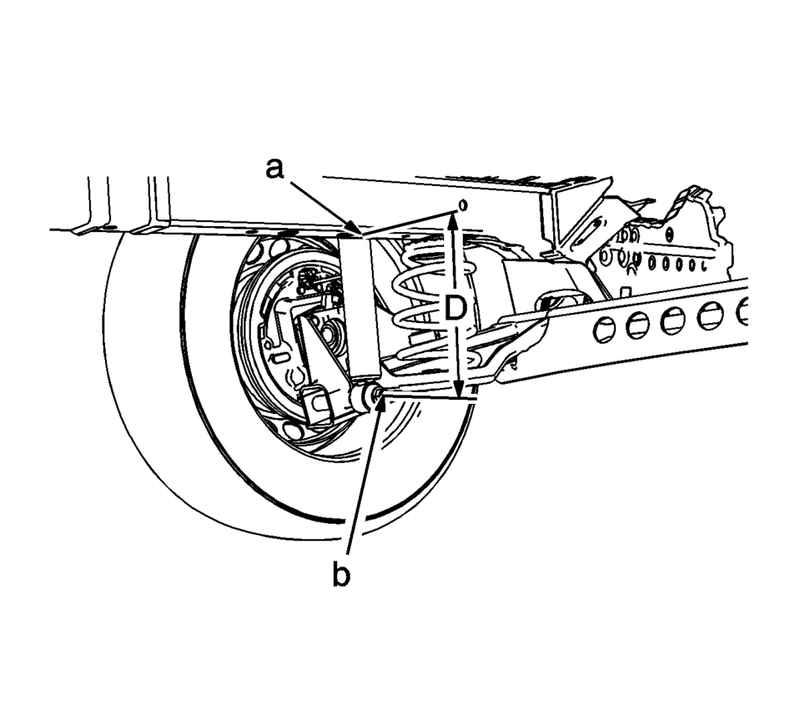 Check the trim heights when diagnosing suspension concerns and before checking the wheel alignment. Check the fuel level. Add additional weight if necessary to simulate a full tank. Make sure the passenger and rear compartments are empty, except for the spare tire. 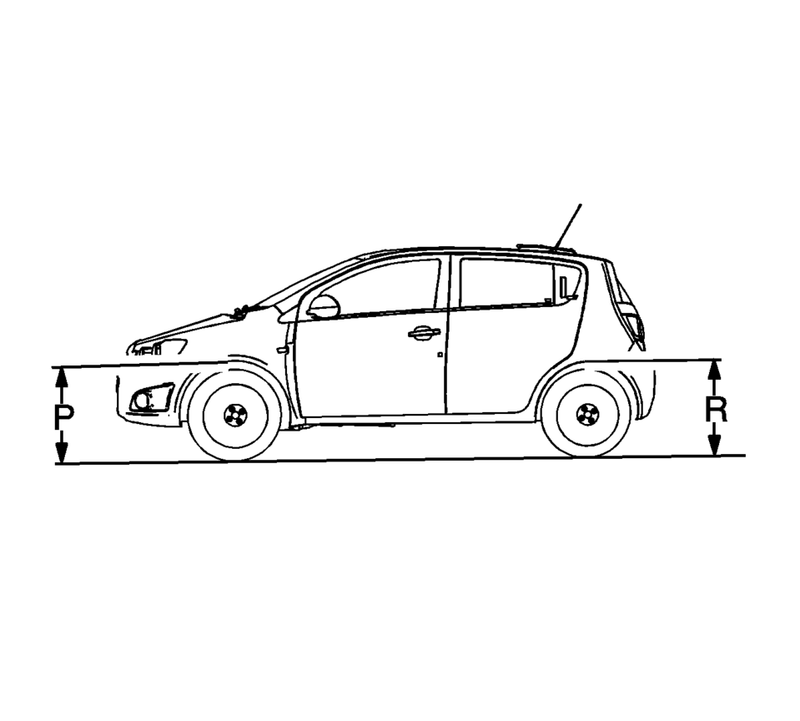 Make sure the vehicle is on a flat and level surface, such as an alignment rack. Check that all the vehicle doors are securely closed. Check that the vehicle hood and rear deck lids are securely closed. P Height: The vertical distance from the ground to the top of the wheel opening through the centerline of the front wheel. R Height: The vertical distance from the ground to the top of the wheel opening through the centerline of the rear wheel. Measure from the TOP of the wheel well opening to the ground. and release. Perform this step three times. Measure and record the trim height per the “Measurement Definitions” above. The true P height measurement is the average of the measurements taken in step 2 and 4. Refer to Trim Height Specifications. Repeat the above steps at the rear of the vehicle for the R heights. If the P and R heights are outside of the specifications, measure the Z & D heights. The Z Height: The vertical distance from the bottom surface of the cradle (b), in line fore/aft with the center of the ball joint (a). The true Z height dimension is the average of the measurements taken in steps 2 and 4. Refer to Trim Height Specifications. 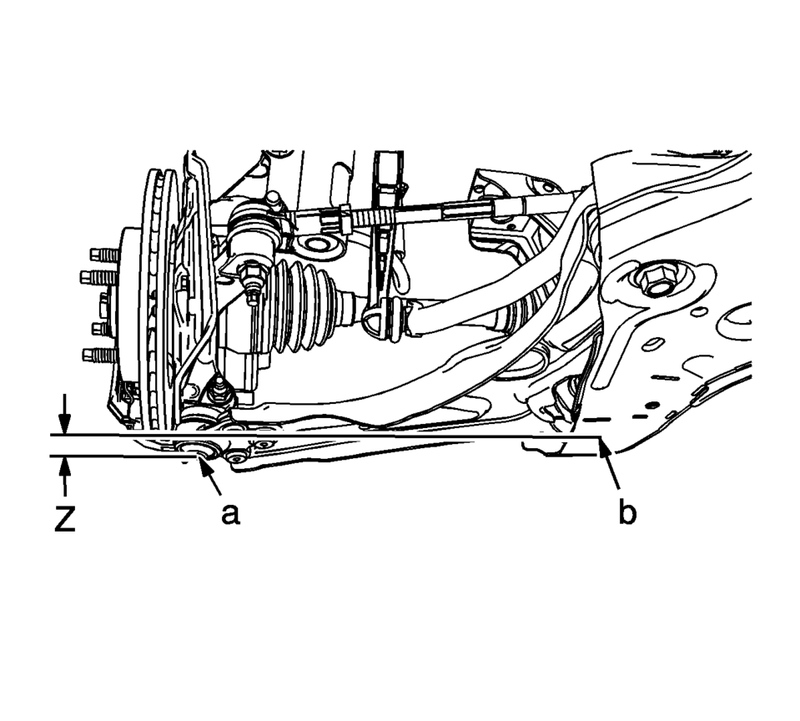 The D Height: The vertical distance from the bottom surface of the body side rail (a) to the center of the lower shock attaching bolt head (b). The true D height is the average of the measurements taken in steps 2 and 4. Refer to Trim Height Specifications.